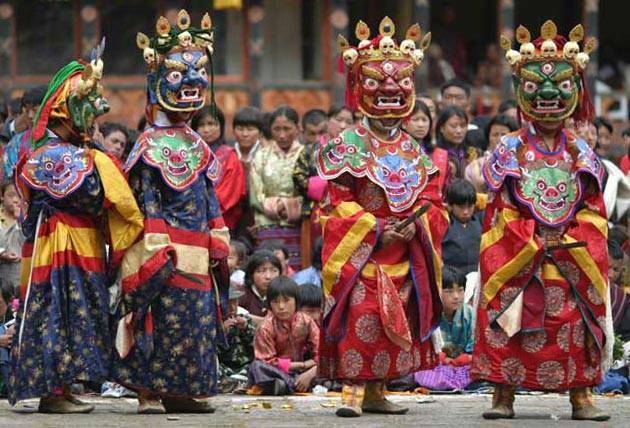 The ancient Kingdom of Bhutan, located on the eastern edge of the Himalayas between Nepal and Tibet, is a land of beauty, mystery and deeply held beliefs. Locals call the country Druk Yul or “land of the thunder dragon” but the rest of the world knows it as the happiest place on earth. And we at Mountain Trek want to find out why. Is it because of the stunning outdoor environment that ranges from subtropical plains to soaring mountain peak? Is it the profound spiritual Buddhist beliefs, or the plethora of centuries-old temples where people congregate and worship. Or maybe it’s because the culture emphasizes physical activity, face-to-face interaction, natural healthy food and a stress-free lifestyle? Only 11 people will be able on this unique adventure so if you're interested, call Michelle at our front desk to book now: 1-800-661-5161. Available are 5 single-person rooms at US$6,399 each and 3 double-occupancy rooms, which are US$5,699 per person per room. (Prices are all inclusive except for flight costs.) A non-refundable US$1,500 deposit is required to confirm your booking and the remaining balance is due 60 days prior to the trek (ie: January 19, 2016). If you would like to learn more about our Bhutan Trek happening March 19-26, 2016 please enter your email address and contact info and we will forward you more details.